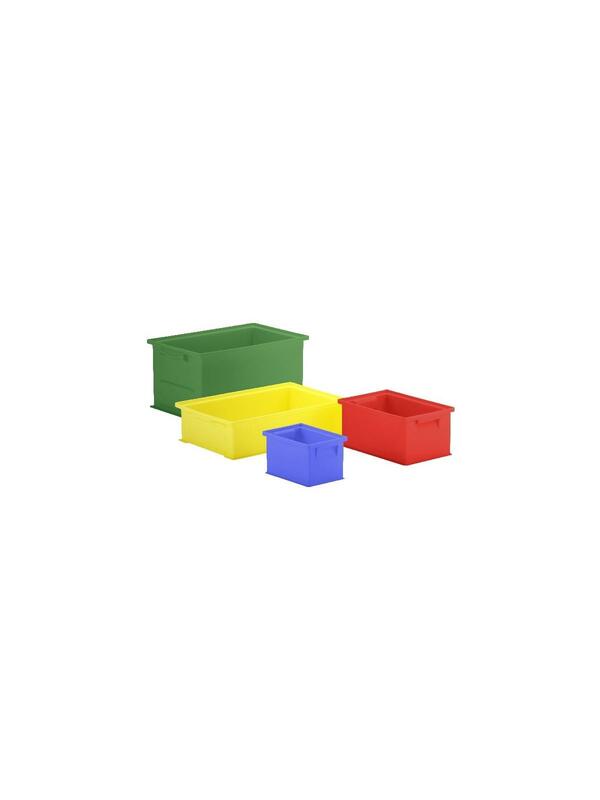 Straight Wall Stacking Bins | David's Inc. They can stack and interstack with Hopper Front Bins. Flat walls for maximum capacity, strength and ease of cleaning. 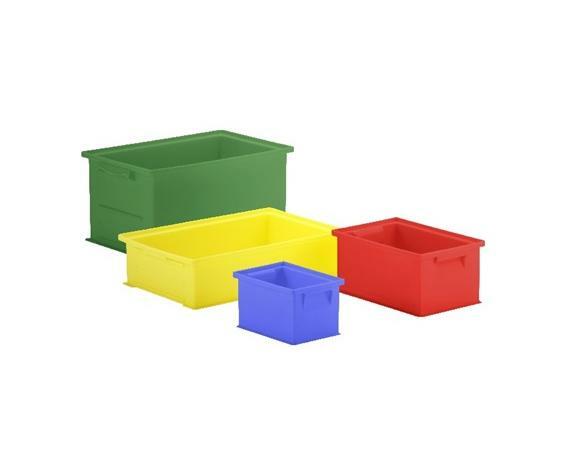 Extra durable double-wall construction, made of HDPE. Available in Blue, Red, Yellow, or Green. FOB Shipping Point. 9 x 13 x 8"9 13 8"